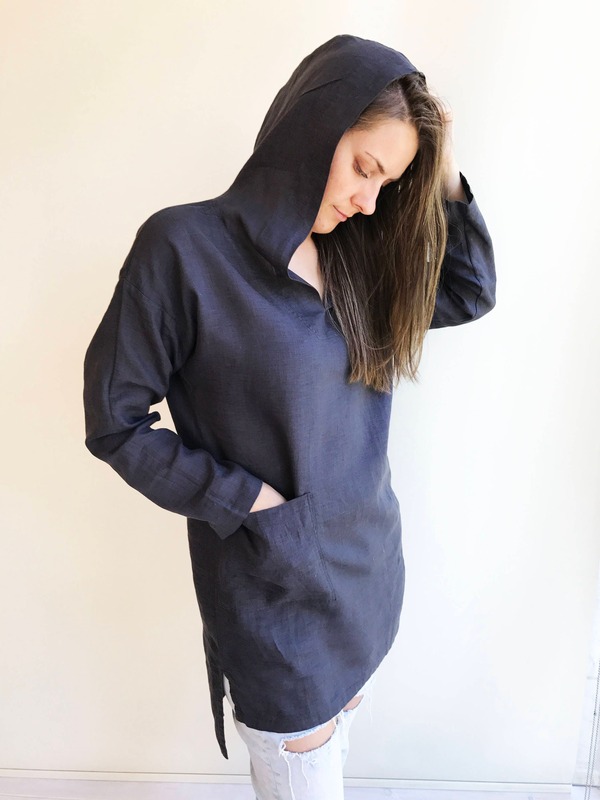 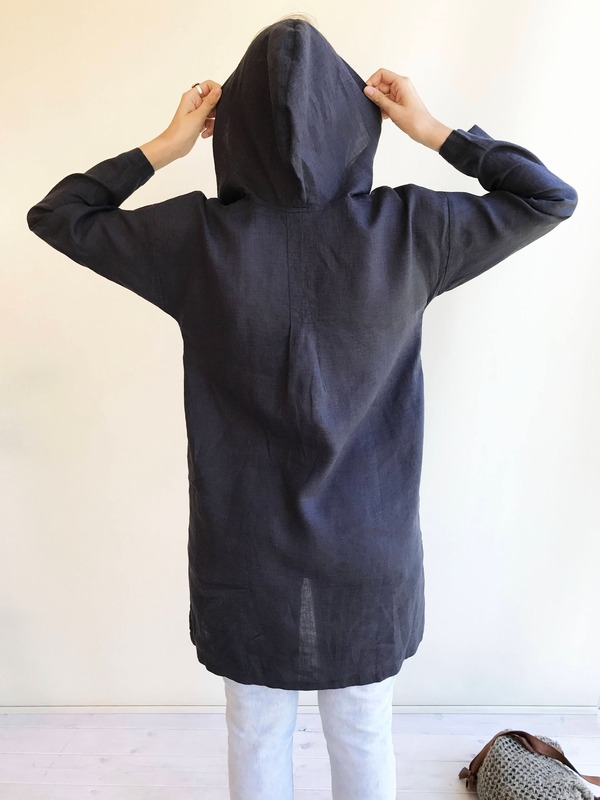 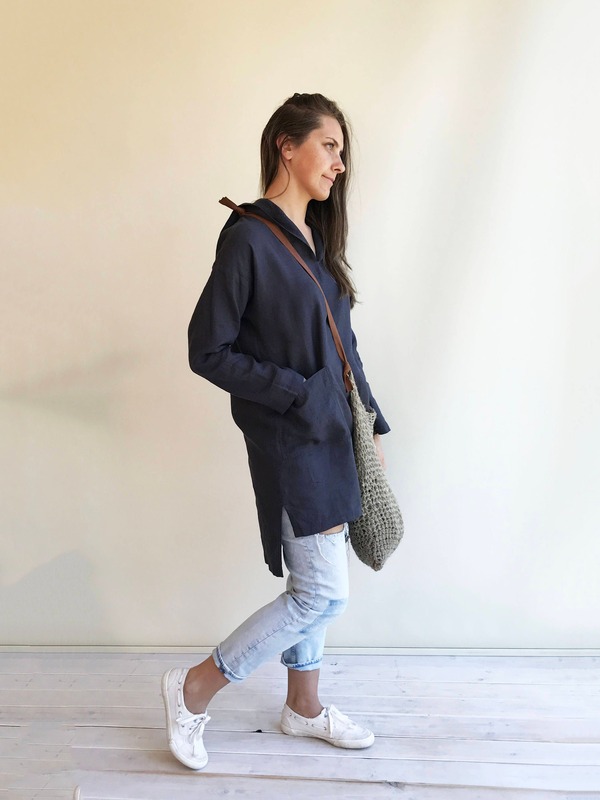 This loose, hooded linen tunic will be your go to piece for your summer days. 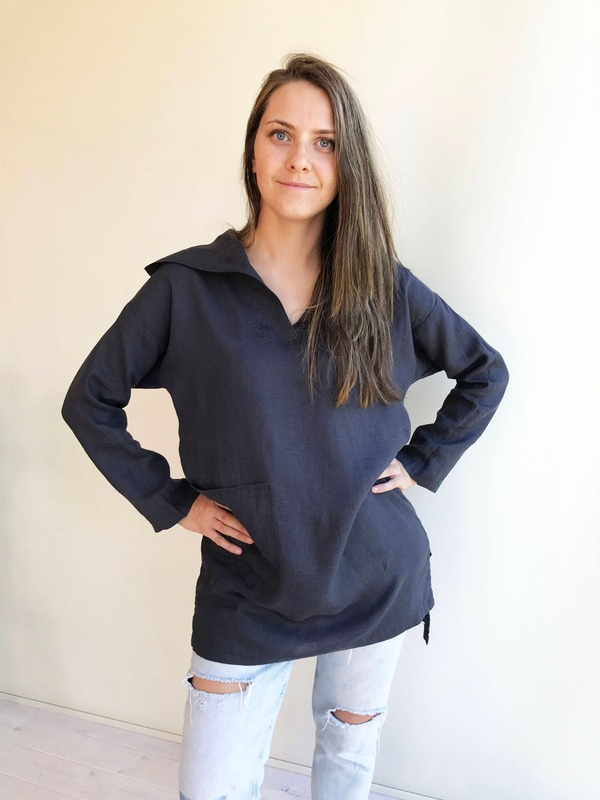 Featuring patch pocket and loose cut it will serve you as a coverup on the beach just as well as a comfortable top to wear in combination with trousers or even as a standalone dress. 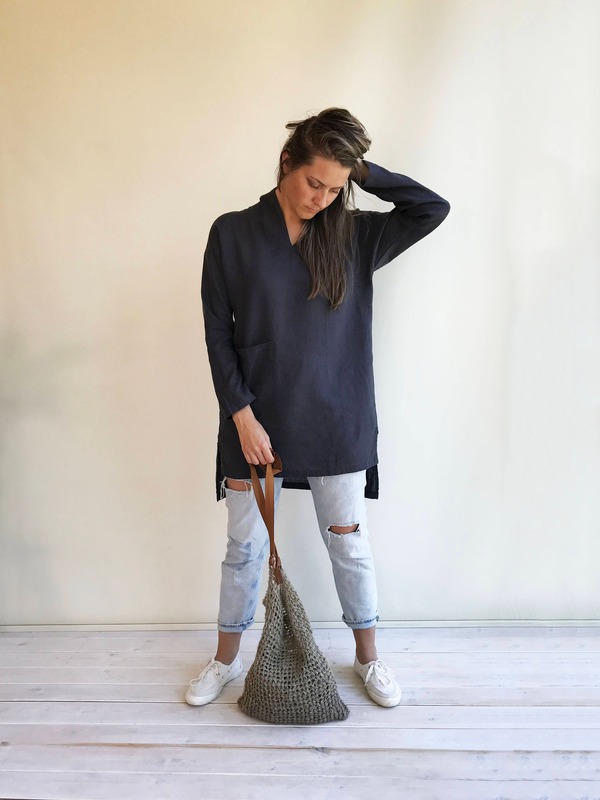 Made from high quality 100% pure light weight linen with great attention to detail.